An honest assessment for how to determine your individual relationship with charitable giving in today's world From world-renowned philanthropists Charles Bronfman and Jeffrey Solomon of the Andrea and Charles Bronfman Philanthropies comes a comprehensive guide on how to be a canny, street-smart, effective philanthropist, regardless of your income level. It is also a perfect companion for nonprofit program and development executives who would like to introduce donors to their work and their organizations. 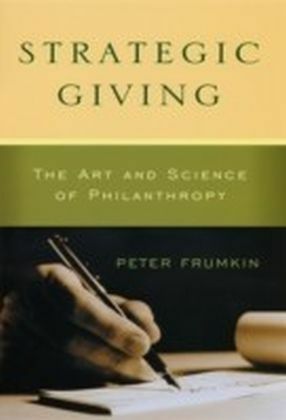 Despite their critical importance to philanthropy, donors have few resources for solid information about making their gifts-deciding what type of gift to give, how to structure it, the tax implications, what level of follow-up and transparency they should ask for and expect, and countless other complexities. 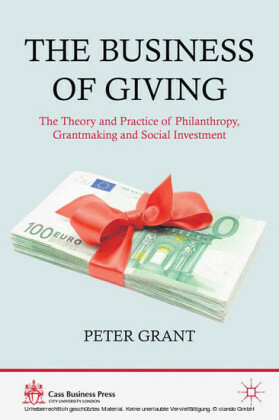 This book fills that vacuum and helps you gain a special understanding of philanthropy as a business undertaking as well as a deeply personal, reflective process. 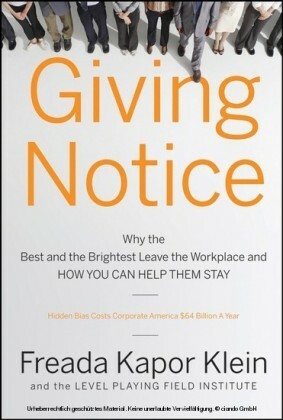 Drawing on decades of experience, the authors offer a fresh, enlivening approach to the nonprofit enterprise that, too often, is undervalued and thought of as the province of the burnt-out and the overwhelmed. 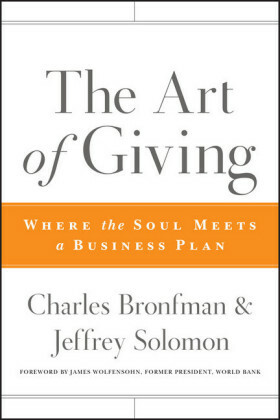 Along with its many candid insights and memorable anecdotes, The Art of Giving also offers instruction on how to create a business plan for giving that works for you. 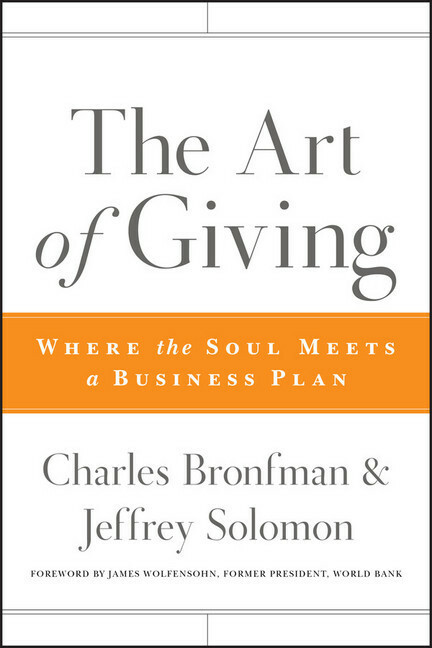 Charles Bronfman, of the Seagram's corporate family, is the founder of the Andrea and Charles Bronfman Philanthropies. He was cochairman of Seagram's, the founding owner of the Montreal Expos, and former chairman of Koor Industries Ltd., as well as chairman of the Montreal Jewish Federation and the first chairman of the United Jewish Communities. Among his many philanthropic duties, Bronfman sits on the boards of Mount Sinai Medical Center and Brandeis University. 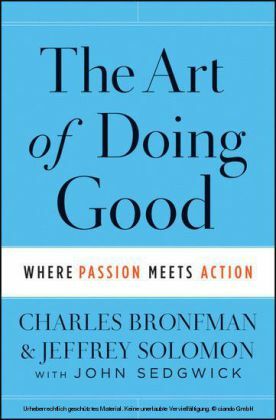 Jeffrey Solomon is president of the Andrea and Charles Bronfman Philanthropies. He has taught the subject of philanthropy at New York University and has served on numerous nonprofit boards, including the Council on Foundations, where he chaired the Committeeon Ethics and Practice. Solomon has been chief operating officer of the United Jewish Appeal Federation in New York, and he is a founding trustee of the World Faiths Development Dialogue.